Wild Bull Curry – Enjoy the thrill ride of surfing through this site and viewing classic images from back in the day rassling! Enjoy the thrill ride of surfing through this site and viewing classic images from back in the day rassling! 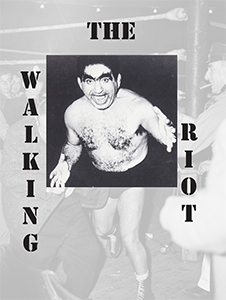 Flying Fred, the Bull’s son, wrote a book about him (The Walking Riot) and is currently working on writing his autobiography. What’s special about Flying Fred’s books is that they are full of wrestling history that you can’t get anywhere else, only insiders know about wrestling as a business, wrestling and the changes through time, etc. Stay tuned to learn more about the new book and where you can buy it. Another Cool Video of the Bull! New Wild Bull Curry Pic! There have been a lot of questions about the fire logs. O.K. a lot of people know that Bull Curry was a wrestler, but how does that connect to fire logs? Wild Bull’s wrestling career took him to Alaska, Quebec province, the Maritimes and Caribou Maine. The Bull enjoyed a warm fire but didn’t want to wake up all night adding logs. These overnight heaters did the trick! Wild Bull’s Overnight Logs burn green and clean because they have no accelerants, binders, glues, or chemicals. All three logs are eco friendly and are 100% select natural wood. Fred “Bull Curry” the hard throwing fearless grappler had a fast growing reputation. He had no hesitation to use those iron fists in or out of the ring. Promoters took advantage of this acceleration that took him to mat stardom. He was rogue and unpredictable. He was a promoters dream, a crowd drawer. They tagged him with names like the Assyrian Stevedore from San Francisco. Assyrians were an ancient tribe of nomads that terrorized Mesopotamia. Stevedore was a seldom used name for dock worker. All this topped off by his wild look and mannerisms, along with his punching power and unperdictable actions had the fans coming in droves. He was crazy, he was wild and someone they wanted to see up close, but out of reach. There was an aura of confidence in the way he held his body. His shrug of the shoulder, muscular arms, along with the lowering of his heavy eye brows created a menacing look that couldn’t be denied. Local wrestling promoters think they have the year’s top wrestling promotion in tonight’s grapple card, and the season’s biggest crowd is expected to jam the Amphi-Theatre to get a first-hand account of the outcome. 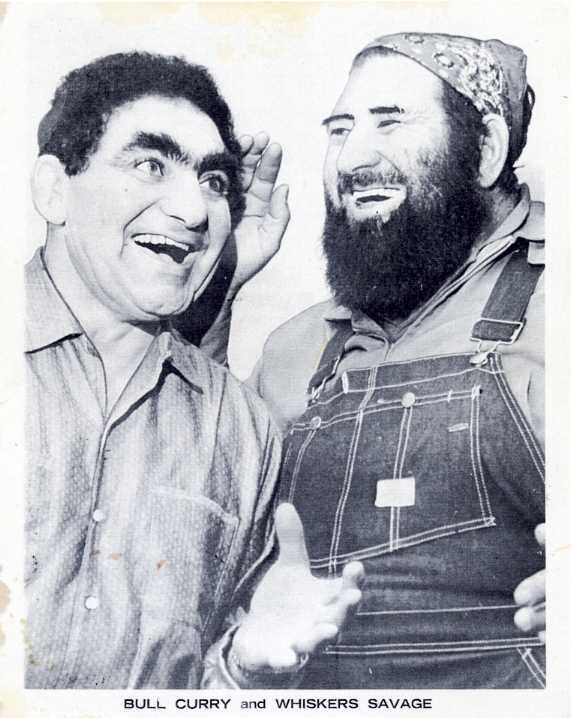 The card is packed with a preliminary bout that could well serve as the main event in Gadsden – it lists local product Big Boy King vs. Bobby Layne – and twin main-events. Come show support for your favorite wrestlers! Vendor Fair opens at 9 a.m.